The Integrated Master Plan (IMP) is an event-based, top level plan consisting of a hierarchy of Program Events. Each event is decomposed into specific accomplishments and each specific accomplishment is decomposed into specific Criteria. The IMP is ultimately used to develop a time-based Integrated Master Schedule (IMS) to shows a networked, multi-layered schedule showing all the detailed tasks required to accomplish the work effort contained in the IMP. 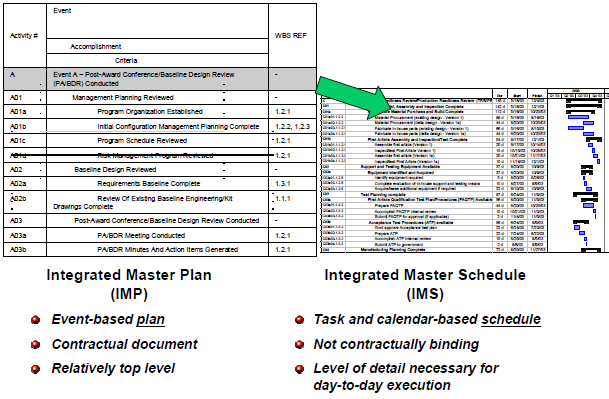 The IMP and IMS related to the Work Breakdown Structure (WBS). The IMP provides a Program Manager (PM) with a systematic approach to planning, scheduling and execution. 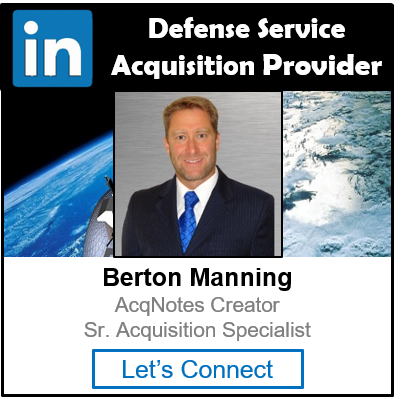 The IMP and IMS are valuable tools a PM can use in preparing for a Request for Proposal (RFP) and Source Selection. It can serves as the basis of an offeror’s proposal and evaluation criteria.